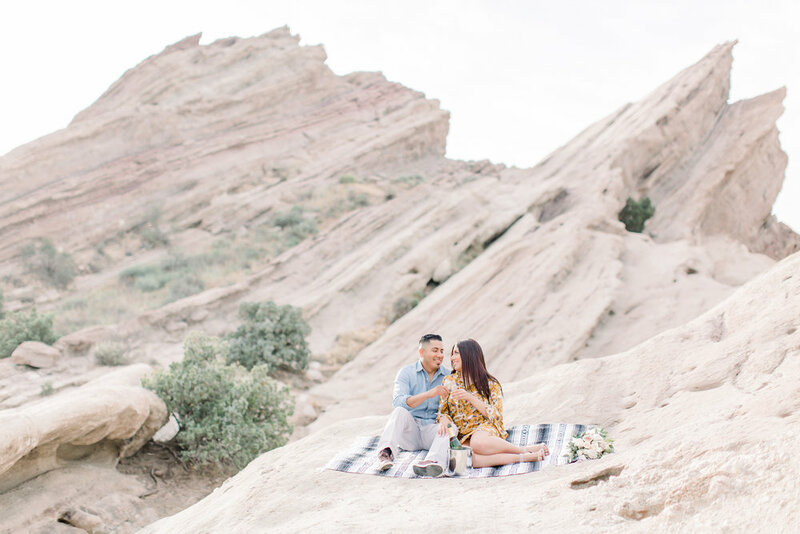 Santa Barbara holds a special place in my heart and when Gaby and Oscar said that their ideal location for their engagement session was in Santa Barbara I knew we where going to have a blast! 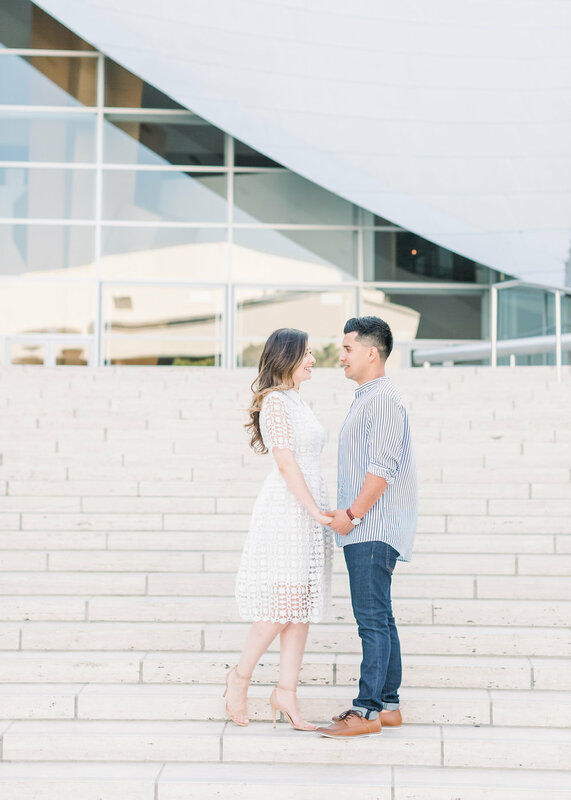 There's nothing I love more than exploring different locations with my couples for their engagement session. 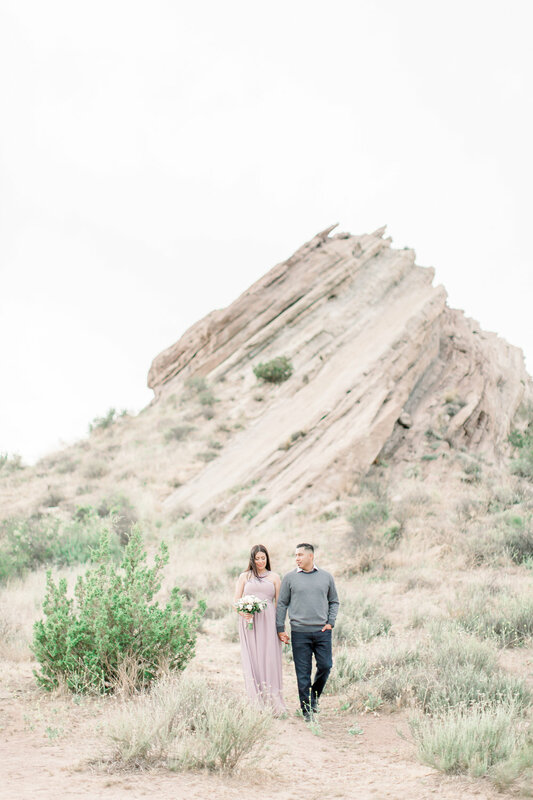 I had a blast during Crystal and Zeke’s engagement session at Vasquez Rocks. Besides being super adorable, they were a ton of fun photographing them! 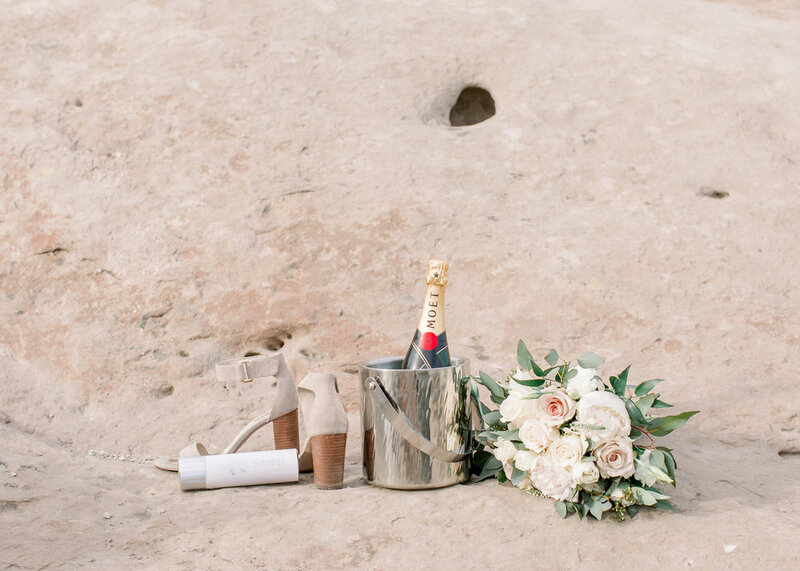 They had all the elements that made this moment more unique from champagne, confetti, and a gorgeous flower bouquet. 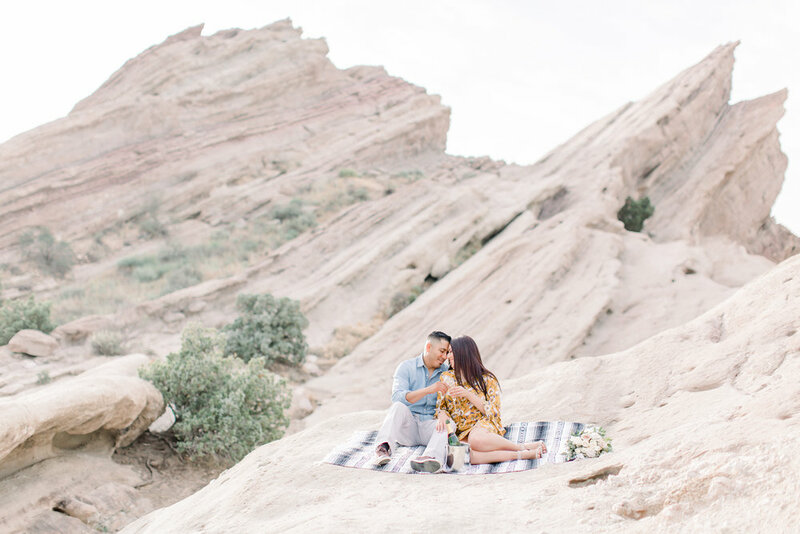 Lily and Ricky’s engagement session location was extra special to them both. 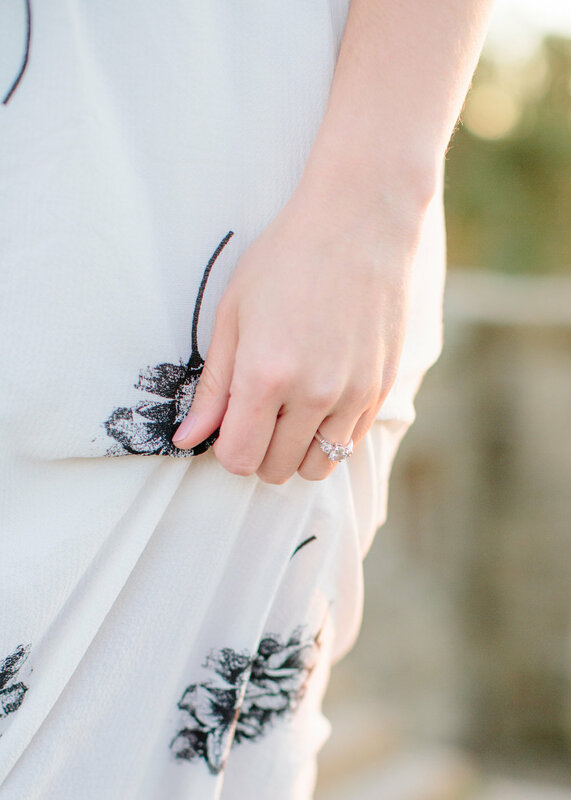 This magical city was used as a backdrop to the moment when Ricky popped the question to Lily. During was suppose to be a girl’s night Ricky surprised Lily with a red Rose and shocked the crowd when he got in one knee to ask for her hand in marriage. 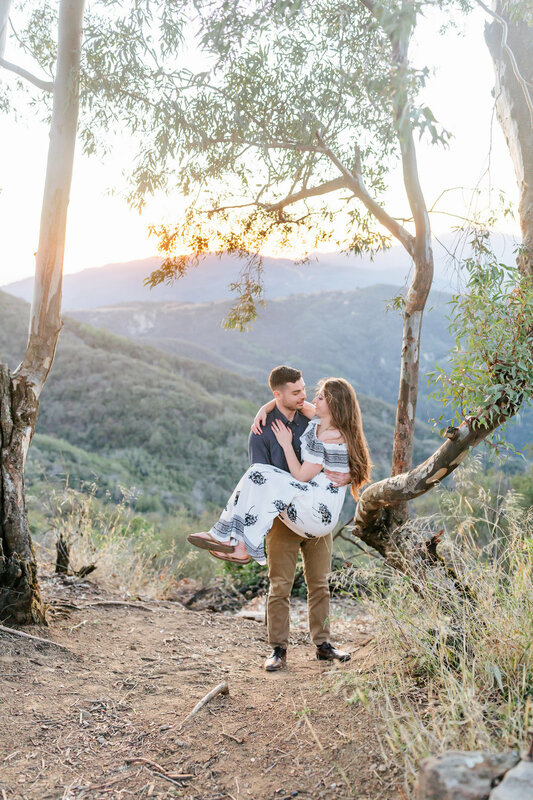 These two lovebirds will soon be tying the knot in Carondelet House in Los Angeles. Another beautiful Gem in DTLA! Both being fashionistas, I can’t wait to see what they wear on their special day in December!! 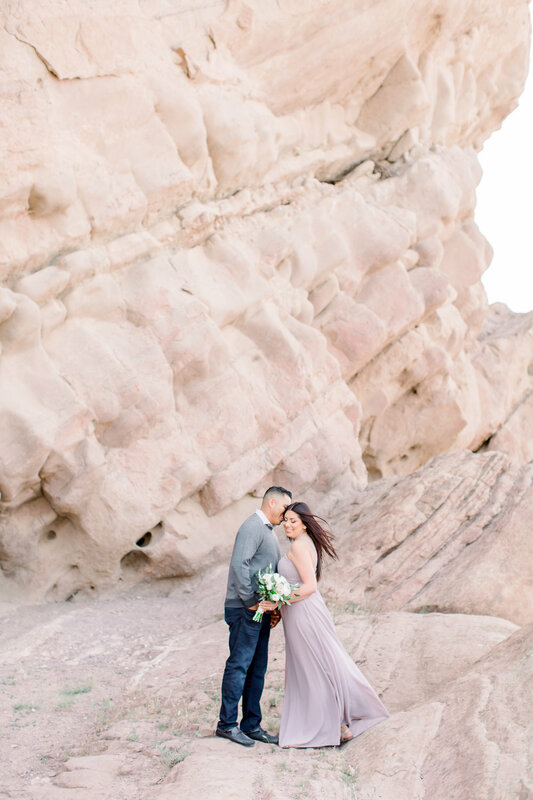 Nancy and Albert's engagement session at Big Bear was a winter wonderland! As soon as we arrived at this beautiful location we had one goal in mind to hunt for snow! We became true adventurers for the day! We met in 2013 at our previous employer. We became good friends we had the same lunch schedule. Albert was NOT my type and he will say I wasn’t his! 2 years later both of us recently single we started to change the conversations from basic watercooler talks to getting to know each other on a more personal level, suddenly we both started feeling strange feelings for each other we both tried to fight it. Albert left the company and when he did we decided to go out for happy hour, the rest is history we've been inseparable ever since!" Nancy and Albert I can't wait to photograph your wedding this coming October! It is going to be so epic! Ana and John are one of the many couples I've had the privileged to photograph who have inspired me to see what love can be. 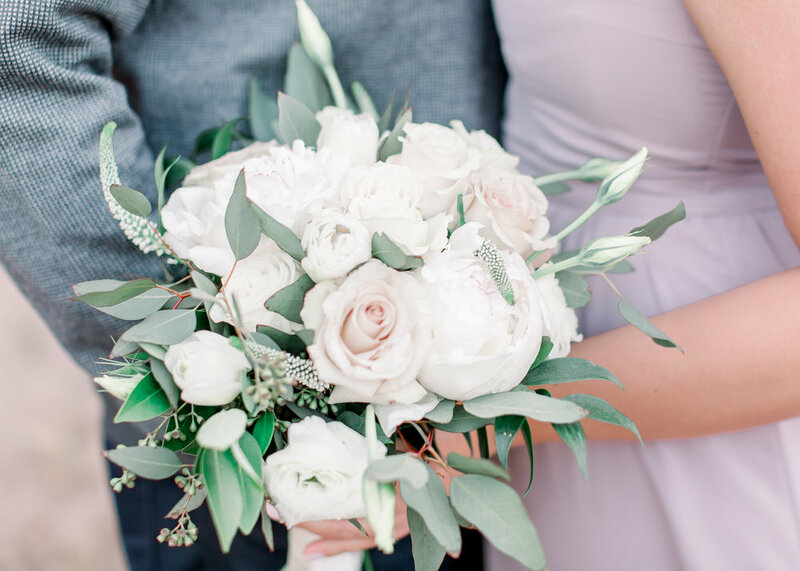 I was shocked to see how hands on John was throughout their entire wedding. He was the one who reached out to me and gushed about the beauty of Ana. 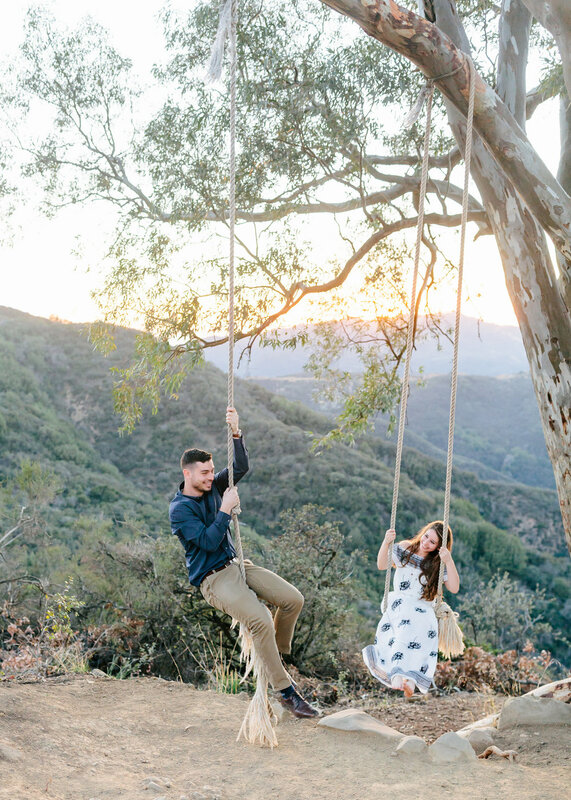 He told me all about their plans after their wedding, which included buying their very first home together. Throughout the entire session, they had a blast posing like the world was their runway. I could not get enough of how Ana used her outfit to her advantage, which included her sister's handmade flower crown. She looked and felt like the most beautiful bride. This summer day was so worth it as we enjoyed this amazing spot till the sun set behind them. Afterwards, we enjoyed our summer night eating pizza at my favorite Italian restaurant in Echo Park. Stay tuned till I show you their beautiful wedding. I love the way they make each other laugh, how they balance each other out, and I still can’t get over how amazing her ring is! I got the opportunity to see them and the entire family again during my Christmas session and what a surprise I received from them, my very own light blue record player. I use it every time I am editing my work! 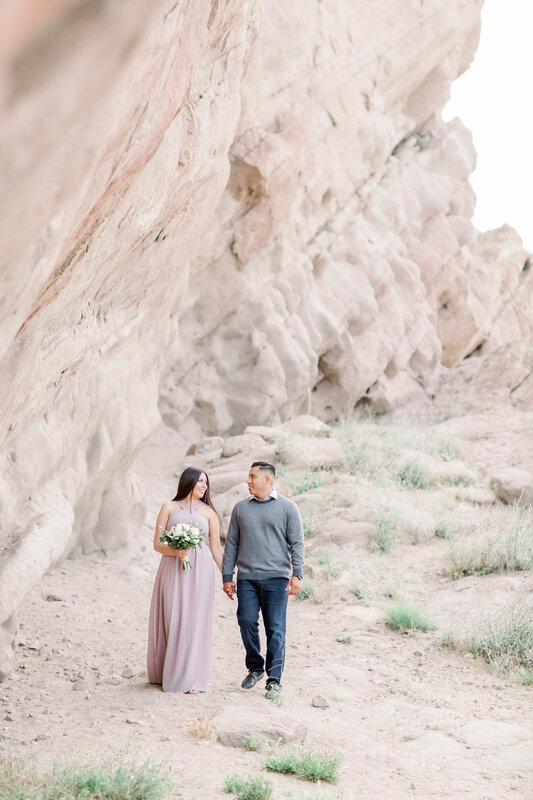 It was such an honor to have two individuals who not only are madly in love, but also open their doors to me. I will forever be grateful to have had the honor to document these special moments in their life. 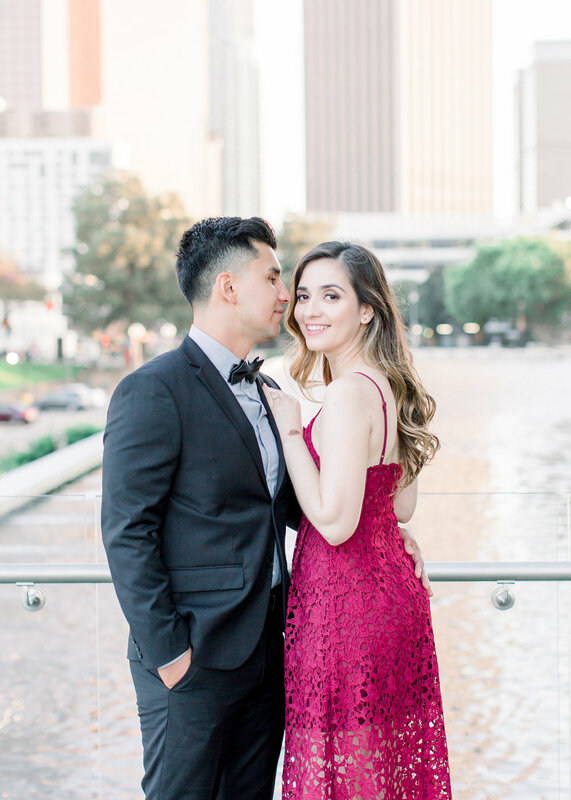 When I first met Ana and Lalo, straight out the bat I knew he was head over heels for her. 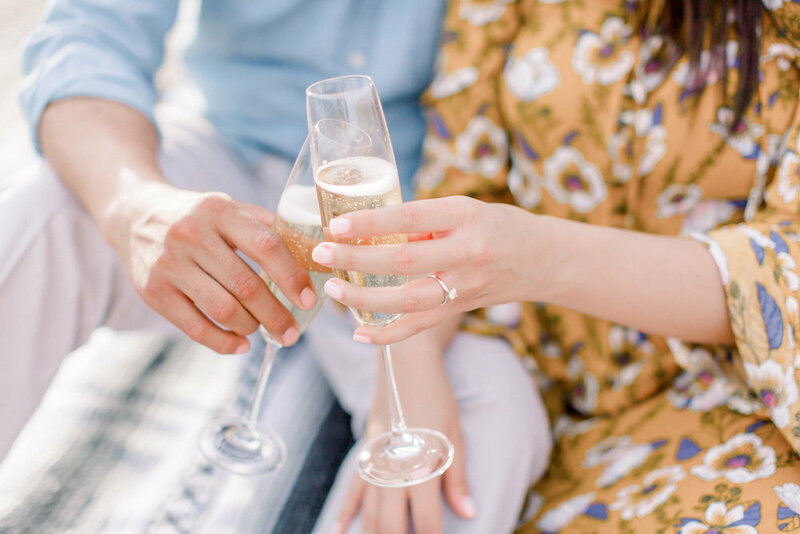 Taking that same energy of this immense love to their engagement session. I had a blast photographing the both of them, from creating little scenarios with them to having fun in the water! They were such big sports when it came to getting a bit wet. They loved it! I can't believe their wedding is quickly approaching in February! I know a lot of photographers start out their entries with this slogan " I am beyond LUCKY to be doing what I love and being able to document different views on what love is." But I am a true believer to this slogan my dear, I would even rock out a tee with that dandy slogan (with some cute booties;) ). My afternoon with Evie and Julio strengthen the love I have for my "job" They are the kind of people who are so real with each other and with me, I felt like we were old high school friends. They are two individuals whose happiness is completed with each other, they share their happiness, and don't rely on each other to make each other happy. Evie with her spunky personality and Julio with his down to earth attitude make each other a better person. 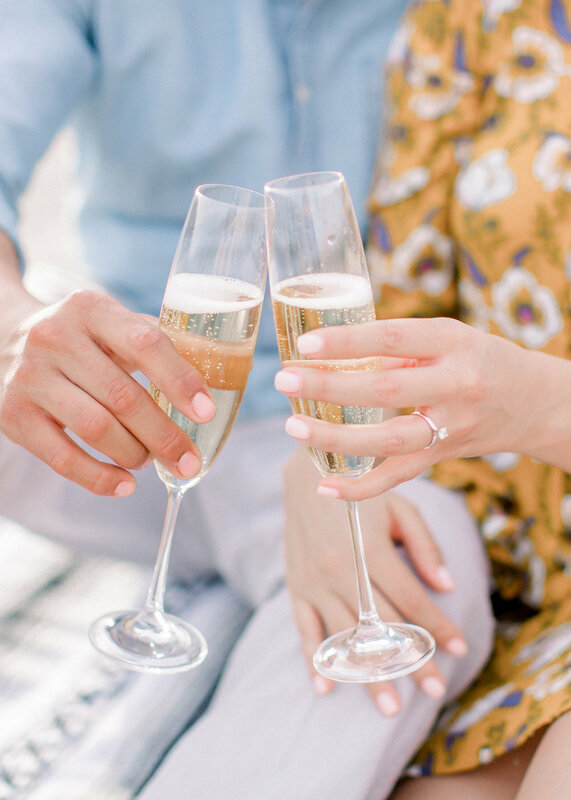 Thank you to both of you for an unforgettable afternoon from cracking jokes between takes, the calmness you both had from the start of your session to popping and sharing the delicious bottle of champagne, to finally having bbq at our now secret spot in DTLA. It was an unforgettable afternoon! 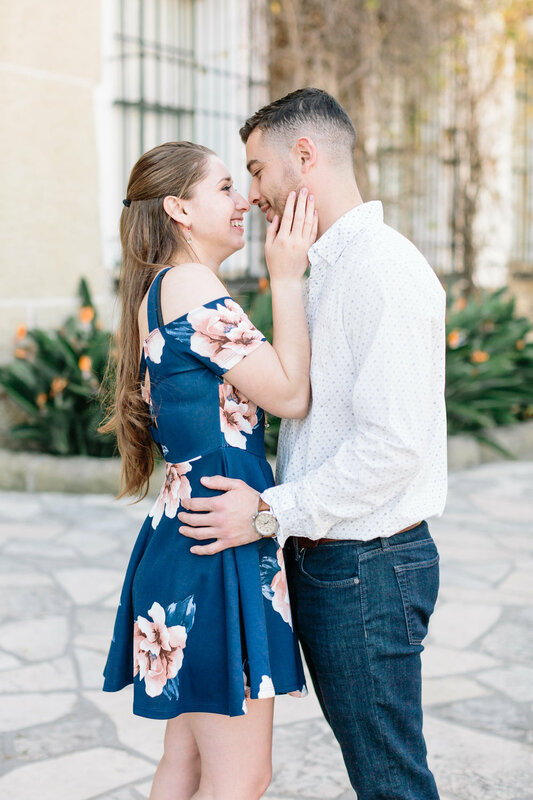 I am beyond grateful to have met you and I can't wait to document your special day! 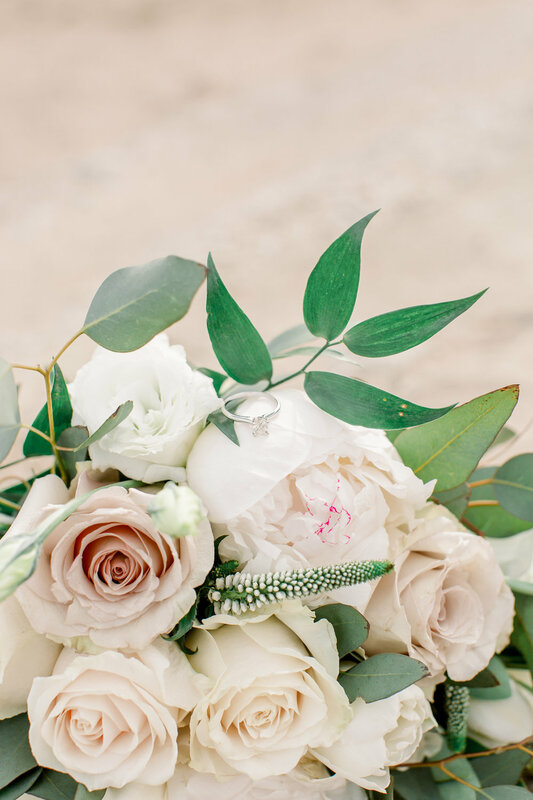 Your wedding day is just day one of a new beginning. You've gotten the chance to know each other inside and out, on good days and bad days. Resulting in a love stronger than ever thought possible. 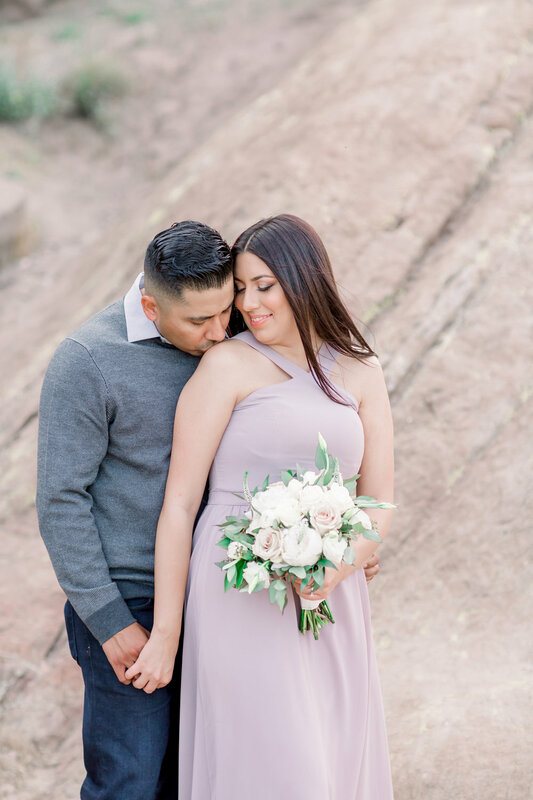 Marlen and Jose's anniversary session, was filled with laughter and tender moments between each other. I can not wait to see what life has in store with them. Melissa and Travis met in biology class during high school. Their years of friendship made their relationship stronger and deeper than ever. They have a passion for politics and long distance running. (I wonder if they do both at the same time) They have a deep understand of one another, and share so much of the same mindset, and a love for Santa Barbara. 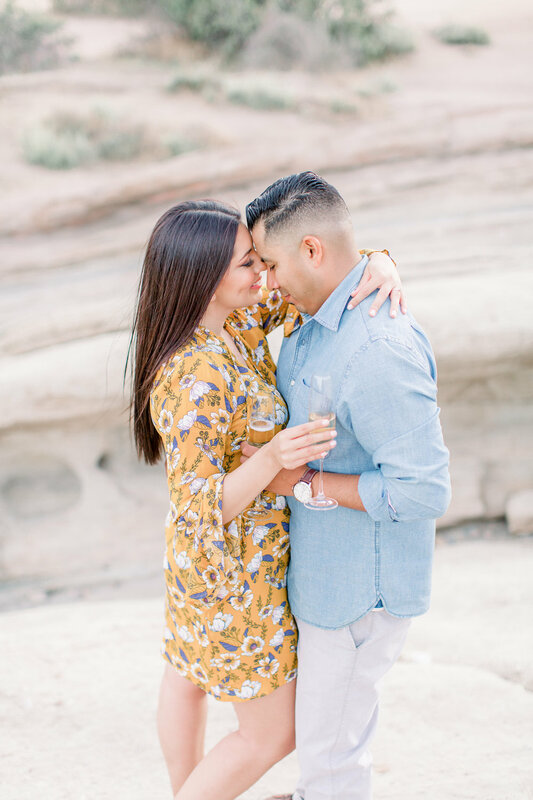 In three weeks they will be tying the knot and I can not wait to capture their amazing wedding!